Posted March 19, 2018 by Arthur Harris & filed under Company News. Do you find yourself sitting around your kitchen and instantly feeling like you are stuck back in the 80’s? Sick of staring at those paltry plastic knobs on your cabinets? Or perhaps you have little wooden dowels that double as your cabinet hardware? It’s time to fast forward your kitchen into the 21st century. Below we share some tips on transforming your kitchen into the modern era by updating cabinet hardware. People love accessories. We accentuate our style with rings, watches, earrings, necklaces and other jewelry. Think of hardware as jewelry for your kitchen cabinets! You are not the only one who deserves some flare. Most consumers tend to overlook hardware for their cabinets and kitchen remodel. The hardware you select for your cabinets can make a huge impact on the feel and look of your cabinets and entire kitchen. The shape and finish of the hardware you choose is almost like the cherry on top of your kitchen remodel sundae. 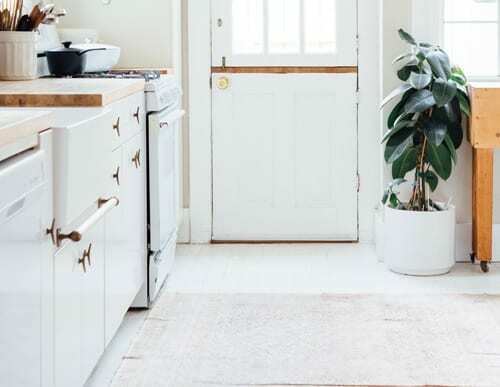 Before we dive into some different hardware options that will modernize your kitchen, it is important to point out that the functionality of the hardware should be your first priority over aesthetics. You will use your hardware multiple times a day for the lifespan of time you’re in the house, and you want to be extremely comfortable with your decisions. Prior to your purchase, we encourage you to take your hardware for a spin. How does it feel in your hands? Is it too slippery? Is it too large or small? Does it do an efficient job opening the certain cabinet or drawer you envision it on? Also be sure to choose the right cabinet hardware size for your cabinets. Once you are comfortable with the functionality of your hardware, it is now time to consider the style in relation to the vision you have for your new kitchen. Hardware comes in all sorts of shapes and materials. Now is the time to hone in on aesthetics. Below we recommend some different hardware styles, and the feel and look they will emit. Stainless steel bar pulls are one of the most popular and purchased kitchen cabinet hardware styles in the past five years. The bar pulls will immediately provide a fresh, modern and industrial feel to your kitchen. Most of our appliances today are of the stainless steel variety, which helps accomplish the commercial and industrial feel of a restaurant kitchen. The stainless steel bar pulls will match brilliantly with your appliances, and also provide a pragmatic feel that will vault your kitchen into the now and beyond. Bar pulls come in a variety of shapes and sizes, but make the biggest style splash when they run as long as possible on the door or drawer. Recessed pulls provide a modern commercial and utilitarian look for your new kitchen, while offering plenty of functionality. These pulls are perfect for high-use, high-traffic kitchens, as they are valuable space savers and will not protrude out into the daily traffic of your kitchen. Recessed pulls intertwine well with stained wood or modern metal or glass cabinet doors. For the ultimate minimalist, tab pulls are discreet and very functional. 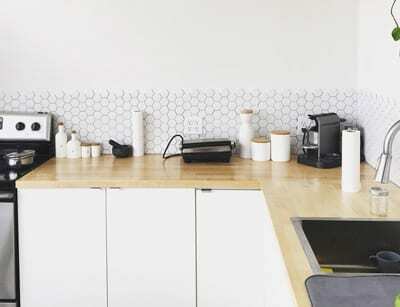 Smaller silver or stainless tabs or longer black tabs can transform the look of any kitchen. Bold and strong black lines that run at the top of all of your drawers paired with stainless steel appliances and light colored cabinets can provide an attractive modern and vintage combination. 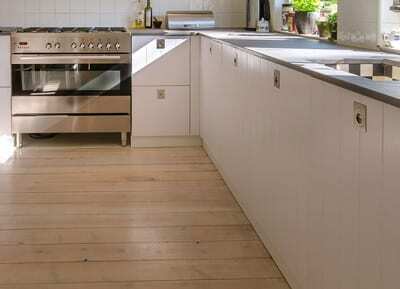 Wire pulls will give your kitchen a simple and clean look, and also reinforce the commercial style feel. Wire pulls are for the consumer who do not want their hardware making a bold statement. They blend well with commercial looking appliances and industrial looking countertops and lighting. For such a seemingly small detail, choosing your kitchen cabinet hardware makes a gigantic impact on the look and feel of your new kitchen. Take your time with your hardware decision, as it can make all the difference in the world for your remodel.